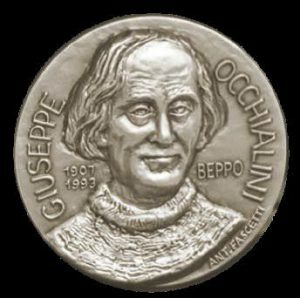 The “Giuseppe Occhialini” prize has been promoted jointly by the Italian Physical Society (SIF) and the British Institute of Physics (IOP) in 2007 on the occasion of the Centenary of the birth of Giuseppe (Beppo) Occhialini, with the aim to commemorate the eminent scientist, who worked in England and Italy, as well as to strengthen the relationship between the two societies.The award is made alternately by the Councils of one of the two societies to a physicist selected from a list of nominees submitted by the other. The award is made for distinguished work carried out within the 10 years preceding the award. The award is to be made to physicists in alternating years who work in Italy (even dated years) or the UK or Ireland (odd dated years). 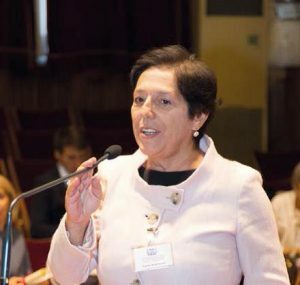 The 2016 Occhilaini Prize has been awarded on the occasion of the Opening Ceremony of the SIF National congress in Padua to Carla Andreani, Dipartimento di Fisica, Università di Roma Tor Vergata, with the following citation: “For her outstanding contributions to novel experimental techniques and methods in neutron spectroscopy and her tireless commitment to fostering the British-Italian collaboration in neutron science”. The prize will be delivered on the occasion of the IOP Awards Ceremony in London on 29 November.